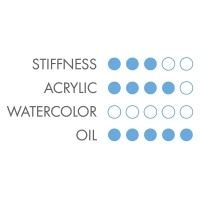 Stiffer than sable and softer than bristle, these beautiful, durable synthetic mongoose brushes are an excellent choice for heavy-bodied paints such as acrylics, oils, and alkyds. 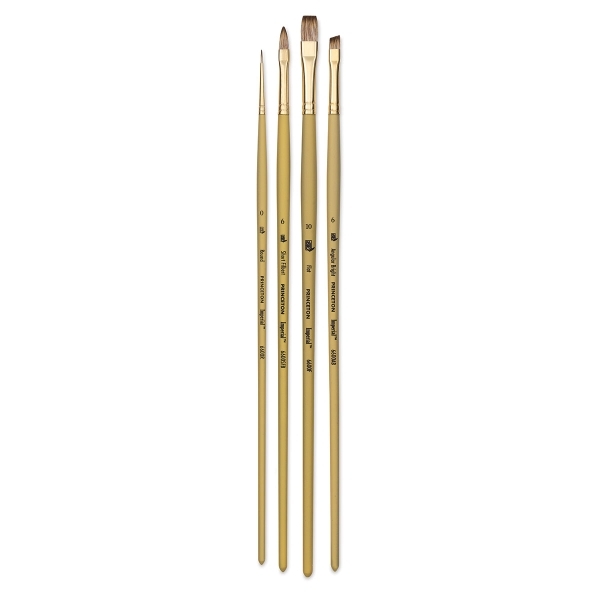 Perfect for blending, Princeton Imperial Series 6600 Synthetic Mongoose Brushes respond to your touch, and shape to a fine point or fine edge. 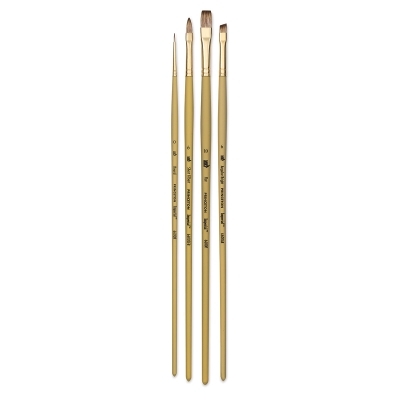 The multi-diameter filaments provide unsurpassed color-holding capacity, making these brushes a favorite among oil and acrylic painters. 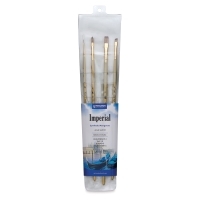 Imperial Synthetic Mongoose Brushes, Set of 4 — Stiffer than sable and softer than bristle, these beautiful, durable synthetic mongoose brushes are an excellent choice for heavy-bodied paints such as acrylics, oils, and alkyds. 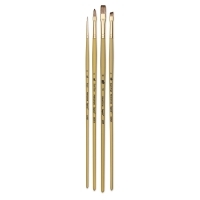 Perfect for blending, this set includes four brushes, one each of Round Size 0, Flat Size 10, Short Filbert Size 6, and Angle Bright Size 6.